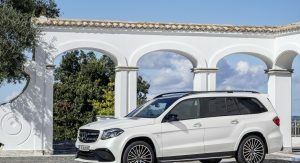 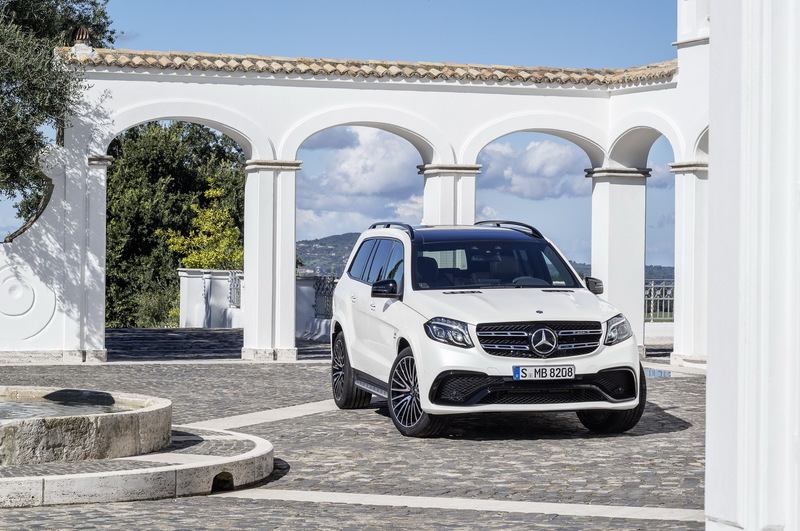 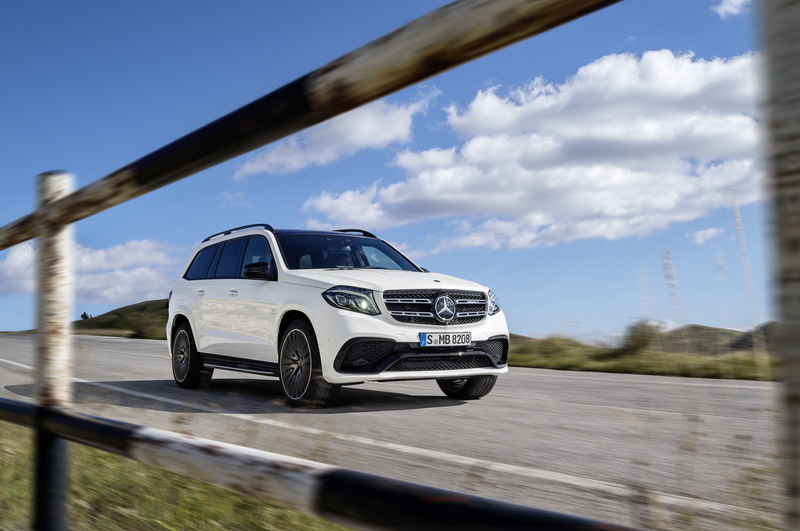 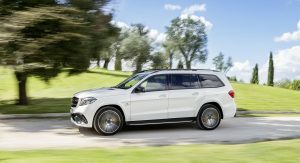 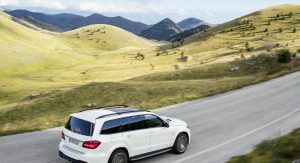 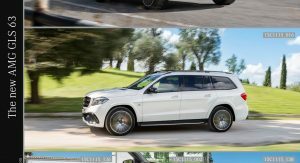 The Mercedes-Benz SUV lineup was refreshed last week with the facelifted GLS, which is now available for order in Britain. 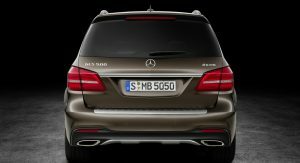 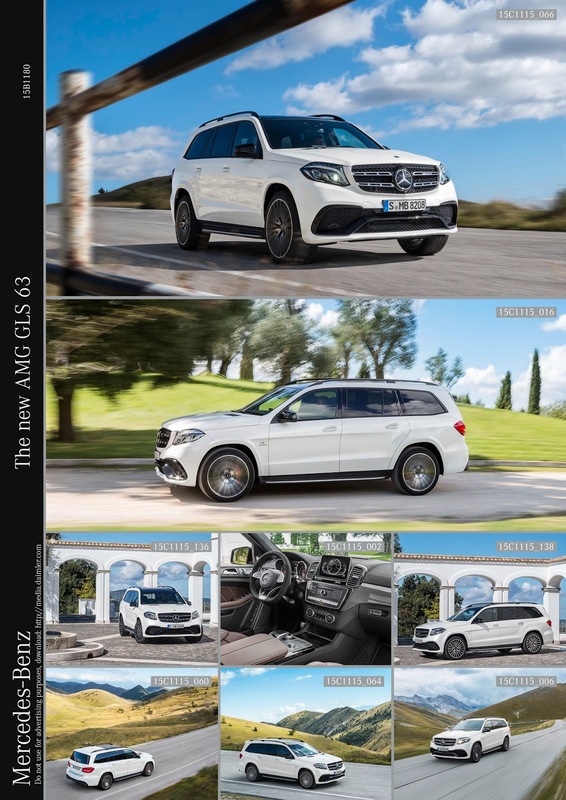 The entry level model is the GLS 350d AMG Line. 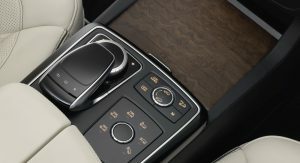 For £69,100 OTR, you get the AIRMATIC suspension system with adaptive damping, adaptive LED headlights, panoramic electric sunroof, 360-degree cameras, Keyless-Go package, Harmon Kardon sound system, memory front seats, heated front and rear seats, leather upholstery, 3-zone climate control and 3-color ambient lighting. 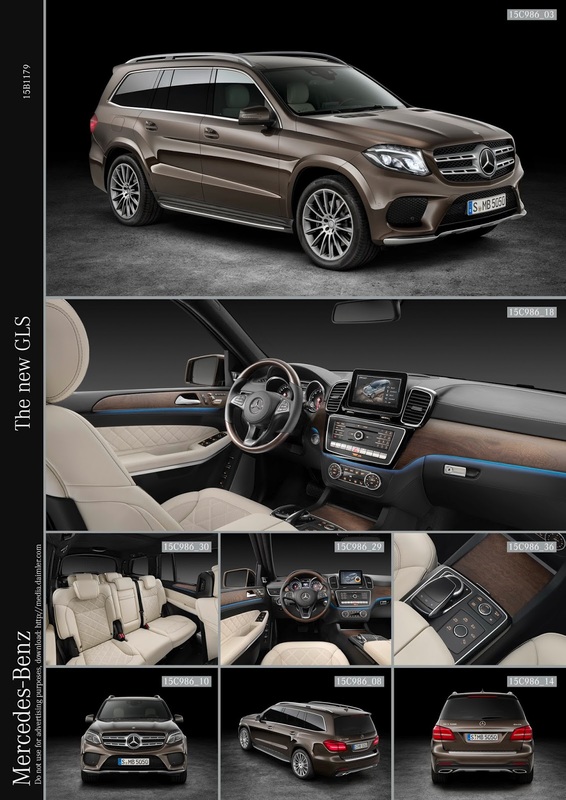 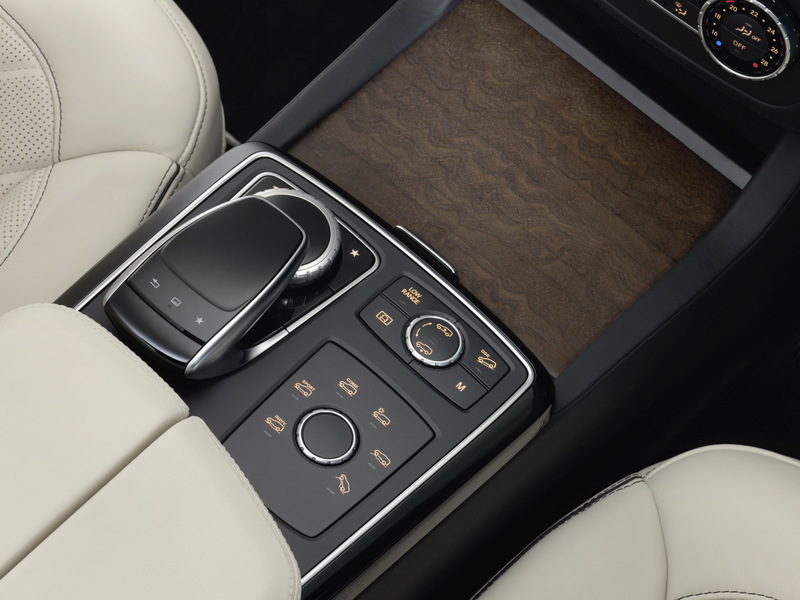 If you spend a bit more, at £78,095, you can jump into the GLS 350d Designo that gives the SUV a four-zone climate control for all three rows of seats, heated steering wheel, cooled front seats, temperature-controlled cup holders, a choice of two exclusive Nappa leather colors and the Active Curve System, which uses the active suspension stabilizers to reduce rolling motion in mid- and high-speed bends. 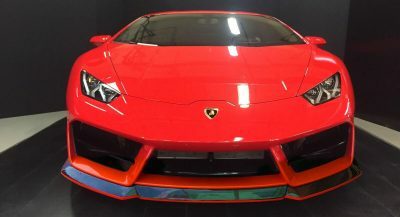 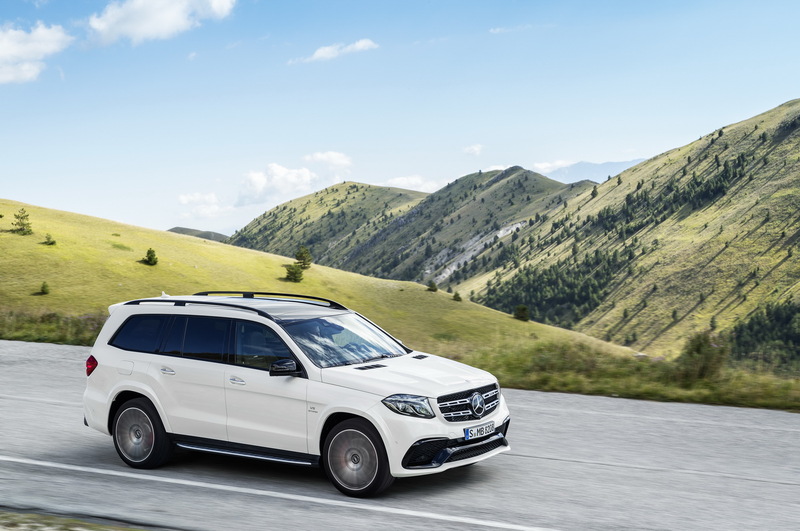 The Designo model also gets the center differential lock, low-range gearbox, three additional heights for the suspension, extra modes for the Dynamic Select, underbody protection panels and off-road function for the headlights. 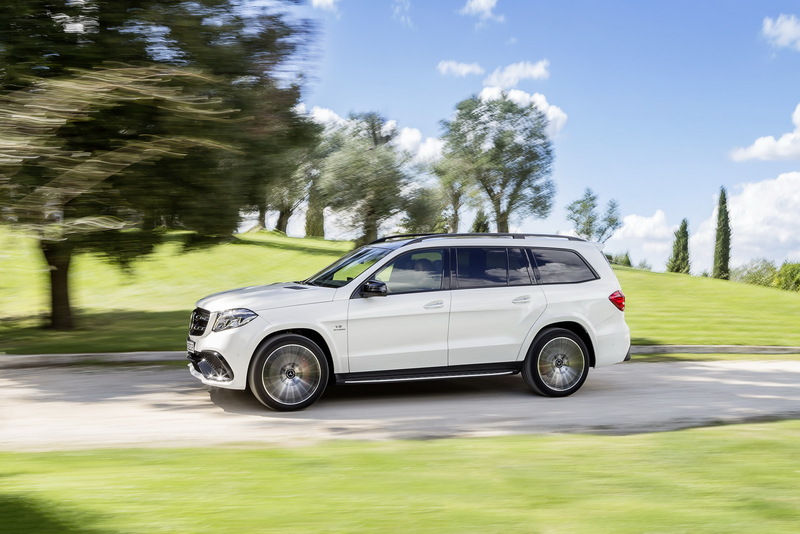 Standard driver assistance systems include the Collision Prevention Assist, Crosswind Assist, Pre-Safe, Attention Assist, Brake Assist, ESP with Curve Dynamic Assist, electronic all-wheel drive traction system and Steer Control steering function assist. 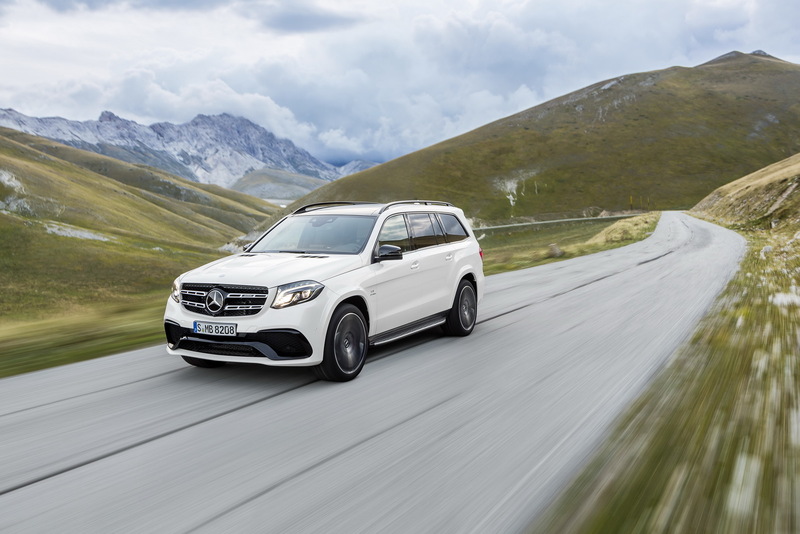 Mercedes also offers the optional Driving Assistance Package Plus, BAS Plus with Cross-Traffic Assist, Active Lane Keeping, Pre-Safe Plus, Active Blind Spot Assist and other “assists”. 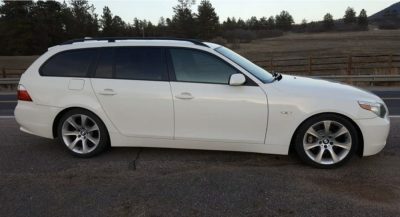 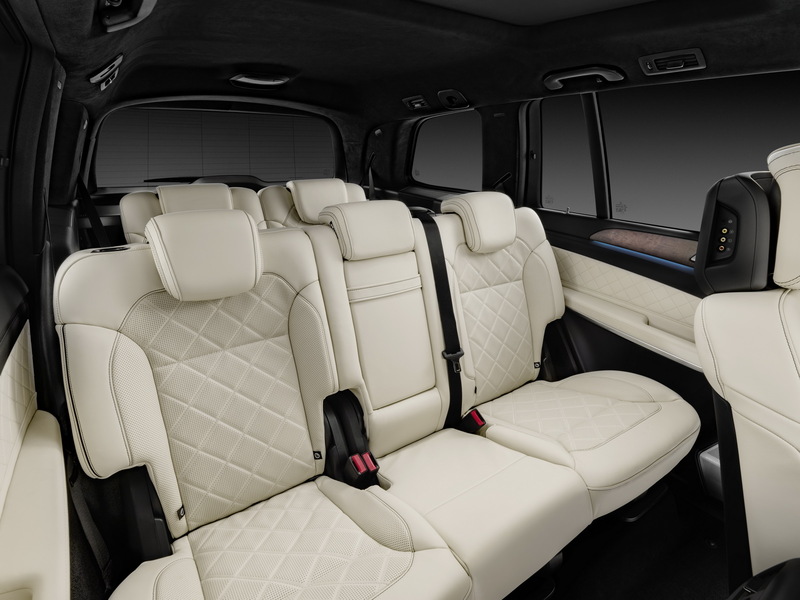 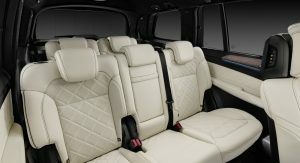 The two-stage front airbags, window airbags for all three rows of seats and the driver’s knee airbag are standard. 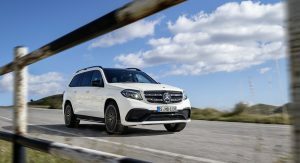 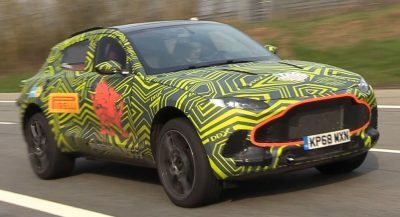 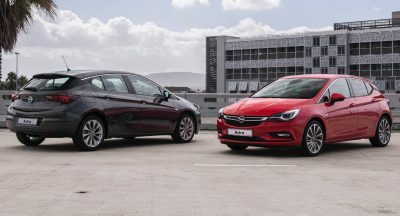 Both trims share a 3.0-liter V6 diesel engine, rated at 258 PS (254 HP) and 620 Nm (lb-ft) of torque, offered with a 9-speed 9G-TRONIC gearbox as standard. 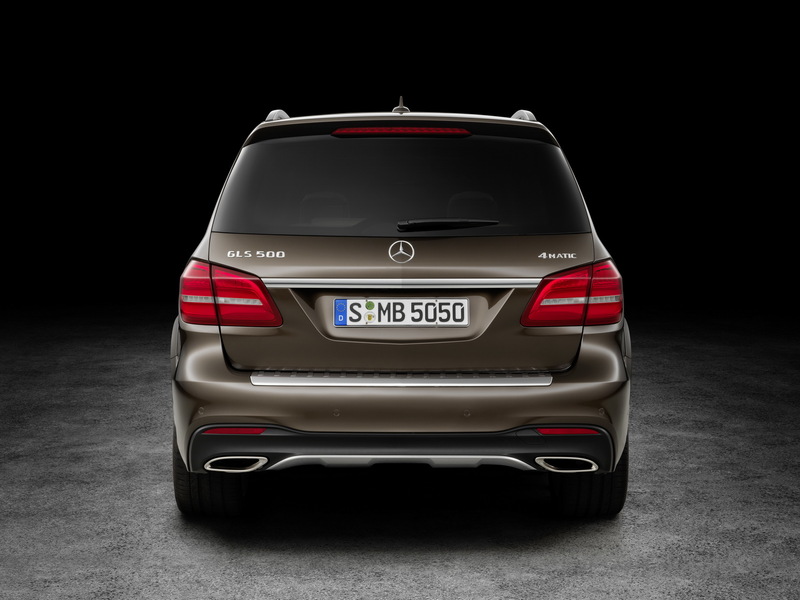 CO2 emissions are down from 209 g/km on the pre-facelift model to 199 g/km. 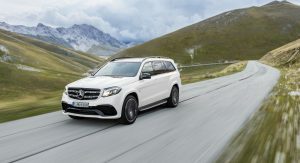 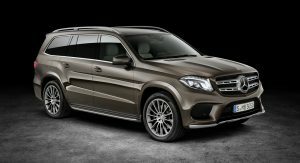 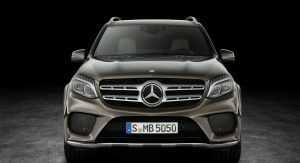 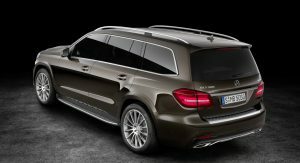 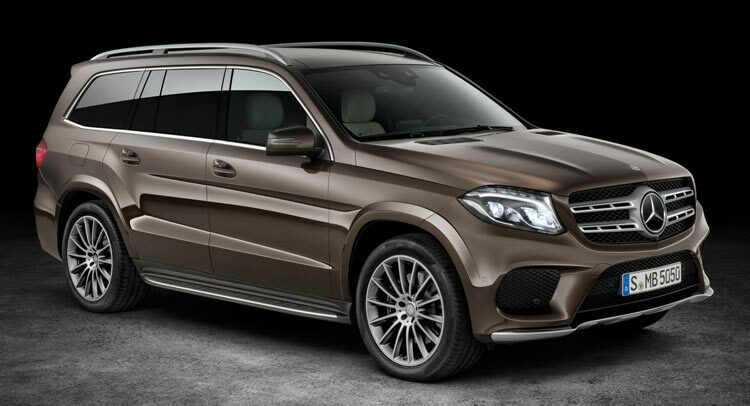 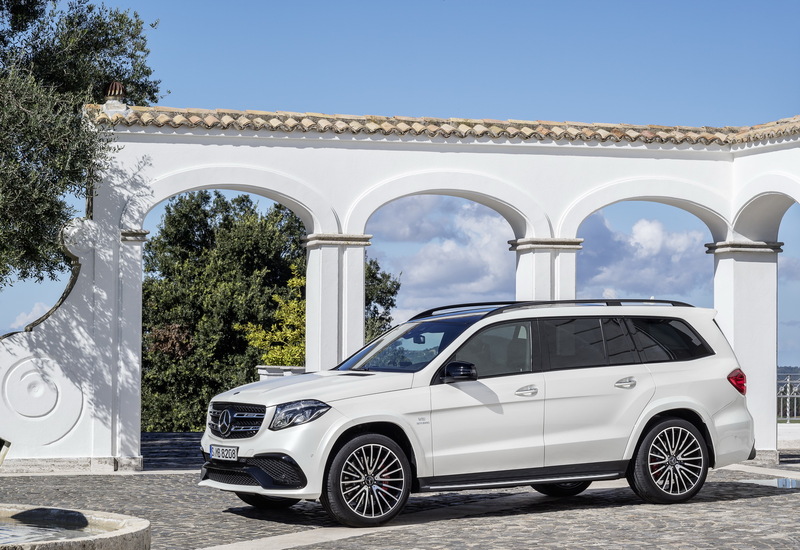 At the other end of the spectrum, the Mercedes-Benz GLS 63 AMG costs £102,330 and is offered with an updated 5.5-liter bi-turbo V8 engine, producing 28 PS (26 HP) more, at 585 PS (577 HP) and 760 Nm (lb-ft) of torque. 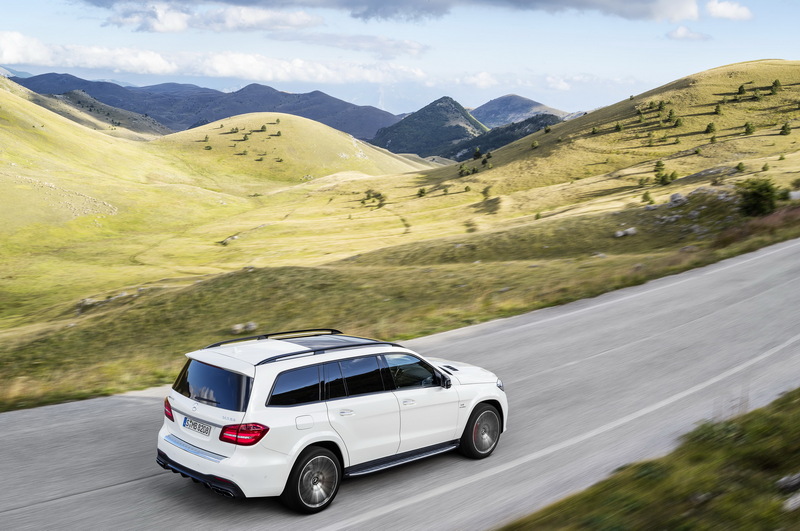 Power is sent to the AMG Performance all-wheel drive system through a standard and revised 7G-TRONIC AMG SPEEDSHIFT transmission. 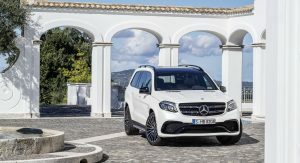 The exterior AMG tweaks include the front and rear bumpers, power domes on the bonnet, larger exhaust tips and 21-inch light alloy wheels, while the cabin brings a redesigned instrument panel and a new 3-spoke multi-function steering wheel. 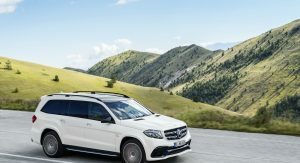 If you’re interested about space, boot volume is 295 liters with all seats in place, 680 liters with the third-row folded and, in a “minivan” configuration, 2,300 liters, with a load compartment up to 2,124mm long and a payload capacity of up to 815kg. 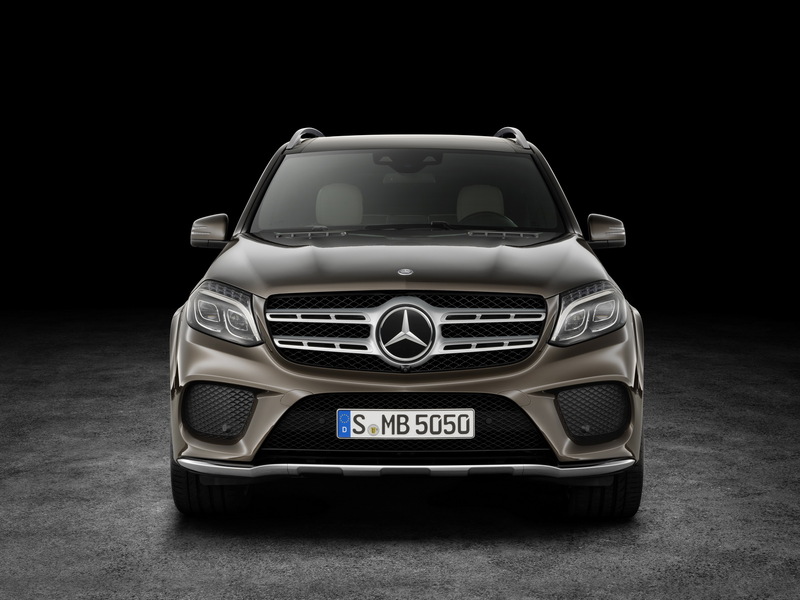 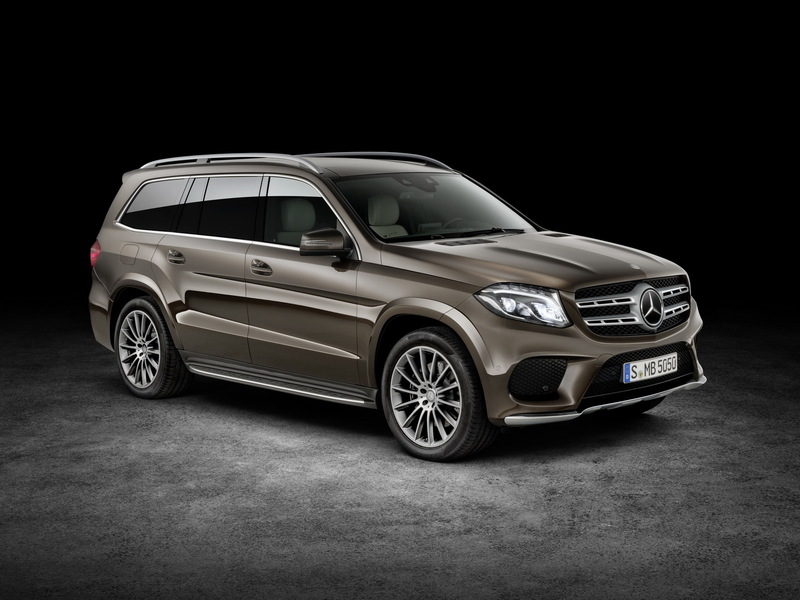 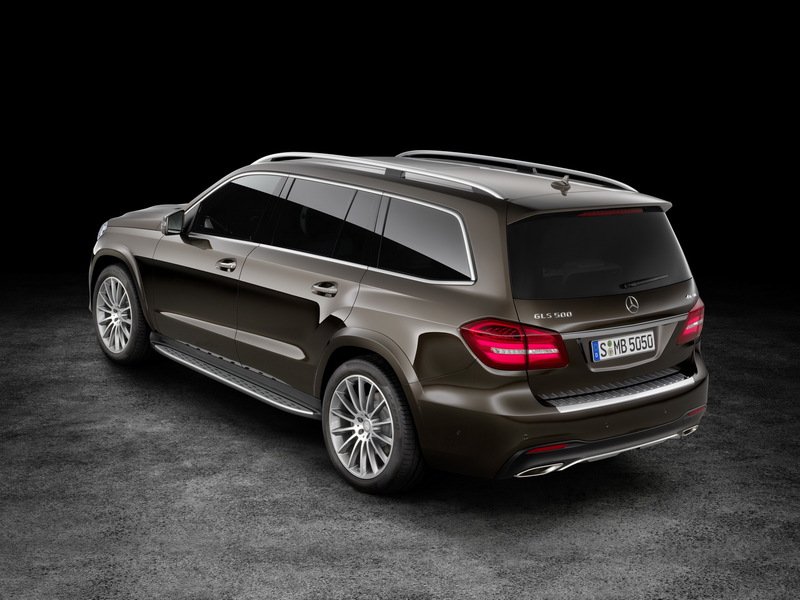 The first UK deliveries of the 2016 Mercedes-Benz GLS will start next March.